As a business owner you have a lot going on. From marketing your business, networking with other business owners and managing daily admin tasks, you need help. This is where working with a bookkeeper can help you become less stressed and have more time to focus on other business projects. As your business grows you need even more guidance, ideas and strategies. Building a solid foundation for your finances is vital for your company’s success. In this case you may need to work with a controller or CFO. 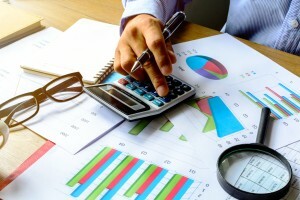 What’s the difference between a bookkeeper, controller and CFO? Let’s take a look at the basic definition of each and their defined roles. There are multiple types of bookkeepers; general bookkeeper, full charge bookkeeper and a certified bookkeeper. 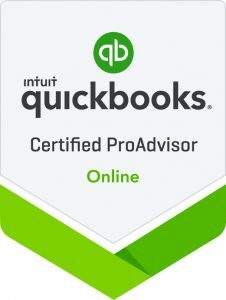 While each one completes an array of tasks, they all perform basic bookkeeping responsibilities such as monthly record keeping, and simple financial reporting. They can also help with processing payroll, calculating inventory and tracking accounts payable and accounts receivable. In other words, a bookkeeper is someone who organizes your business books and daily accounting transactions. They can be a full-time employee, part-time worker, or an outsourced bookkeeping service who provides accurate accounting for your business finances. They can also be a helpful advocate between the CPA and business owner when tax time rolls around. A controller is someone who keeps a sharp eye on all the numbers. They are responsible for understanding and interpreting all of the financial data and record keeping done by the company’s bookkeeper. They can also manage a team of bookkeepers and accountants to ensure complete accuracy within the business finances. The Controller is in a key financial role and must give a full account of the company’s overall financial health. Additionally, a controller helps a business stay in compliance with financial reporting and accounting laws. They also aid in the process of creating, and sticking to, an annual budget. If a business is overspending, a controller can monitor their performance throughout the year and recommend a plan for getting back on track. To create a fully functioning money management team, a CFO makes up the final piece of the puzzle. CFO stands for chief financial officer and they add another important layer of financial expertise to any business. They must take on a leadership role to help further the overall direction of the company. They are expected to maintain a solid foundation for which the company can grow and expand. Essentially, the CFO oversees the work of the controller as well as the bookkeepers and team of accountants. They are responsible for sharing accurate monthly and quarterly financial reports, give details on the company’s financial standing and are the public face of the company’s finances. Not only that, but they must project and analyze the company’s future while bringing helpful business insights to the table. The goal of the CFO is to guide the company to success through high-level management and effective financial strategies. Do you need a bookkeeper, Controller or CFO? As you can see, a bookkeeper answers to the controller who then answers to the CFO. Each position maintains an important level of financial accuracy within the business. With so many transactions happening at any given time, this system is put in place to strike a good balance and financial standing. You need someone on your team who can perform the daily record keeping as well as offer business insights into the financial health of your business. Let us help you find the right solution! Give us a call today and we can answer your questions and come up with the right strategy for your business finances.